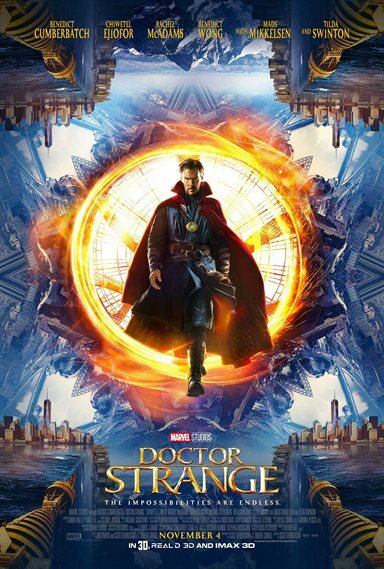 A disgraced former surgeon named Stephen Strange (Benedict Cumberbatch) becomes a powerful sorcerer under the tutelage of a mystic known as the Ancient One (Tilda Swinton). Download Doctor Strange in Digital HD from the iTunes store. Listen to the Doctor Strange soundtrack on Apple Music. 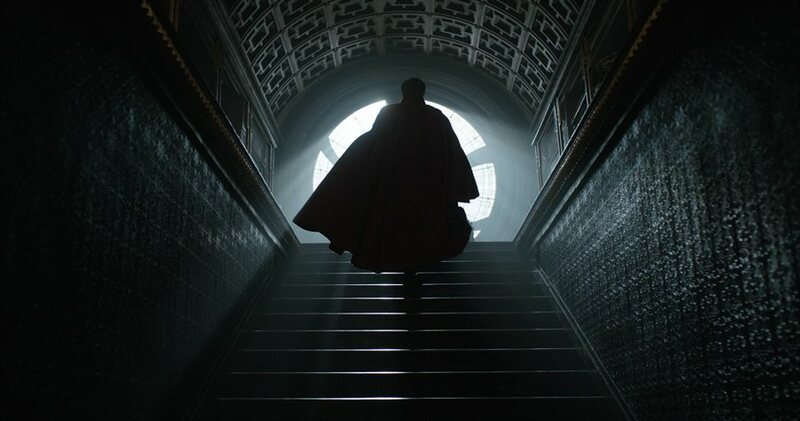 Doctor Strange images are © Walt Disney Pictures. All Rights Reserved. The Marvel universe seems to be never ending. With a plethora of comic book heroes and villains to draw from, they manage to crank out a movie every three to six months it seems. Each time the hype and excitement around the movie is immense, whether or not it is warranted. This month's hero of choice is Doctor Strange (Benedict Cumberbatch; The Imitation Game), which comes out nation wide on November 4, 2016. Dr. Stephen Strange is a well-known, brilliant, arrogant neurosurgeon with steady hands and an ego to match. He saves lives no one else dares to try to save and does groundbreaking research on the human brain. His life is everything he hoped and planned it to be, until a terrible car accident left him with limited use of his hands, basically ending his stellar career. After hearing about a miracle case where a guy walked after having severed his spinal cord, Dr. Strange heads to Nepal seeking a cure. What he finds is "The Ancient One" (Tilda Swinton; Hail, Cesar!) who teaches him in the ways of the Mystical Arts. While there, he gets a new sense of purpose, a spiritual healing of sorts and a fight for the fate of the Earth. Cumberbatch is a perfect choice to play Dr. Strange, as his physical appearance has enough similarity to the comic book version to make him believable. He also is a terrific actor who can take on almost any role and, while I am surprised he chose this one, he does it well. Swinton also shines in almost anything and, in this case, her portrayal of the Ancient one is fantastic. The calm demeanor she outwardly displays thinly veils a rage deep inside and Swinton balances both sides of her character beautifully. The supporting cast does a fine job alongside these two greats. Rachel McAdams (Spotlight) typically is solid and she holds her own next to Cumberbatch. Benedict Wong (The Martian) and Chiwetel Ejiofor (Serenity) add levity and humanity to a serene, yet dangerous, setting in Nepal and balance Strange's broody, egotistical persona. Mads Mikkelsen (Casino Royale) rounds out this talented group as Kaecilius, a mystic master who chooses the "dark side". The story itself is interesting enough, especially if you have never read the comic book series. There is enough detail to keep audiences interested and the segments surrounding the mystic arts are actually rather enjoyable. There is humor strewn throughout, although it sometimes felt like it was too much humor for a rather serious subject and there were moments in the film that were downright cheesy and campy, which I found distracting. The special effects were incredibly well done, though I did have flashback moments to other films such as Contact and Inception. The 3D version was especially interesting and worthwhile, as I felt the dimensions would not have played as well in 2D. I also found myself getting a little dizzy during some of the Inception-like scenes, but I think the 3D aspect help to give a sense of physical depth that lessened the dizziness. 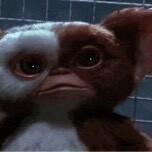 From what I understand, fans of the comic book thought the film was well done and closely related to the series. Considering they can tend to be harsh critics, it says something about the movie that they seemed to like it. Personally, I found it entertaining with some great elements going for it such as the cast and the special effects. I can think of a much worse way to spend one's hard earned money and two hours of one's time. A word of warning… get to the theater early because I'm sure this Marvel film will sell out quickly this weekend. Doctor Strange images © Walt Disney Pictures. All Rights Reserved. Watching the Cinematic Universe Edition in 3D... Benedict Cunberbatch... just.. wow. Giving it a second try. Maybe I will like it better at home. Screening time. Let's see if it is in the same league as #Inception. This will be something different! I can't wait till next year.